You will set up the calculations, run them, and visualize the results. The first example in this tutorial is Ni(CO)4 . It consists of one Ni fragment and once CO fragment that is repeated four times. The second example is PtCl4 H2 2- . It consists of a PtCl4 2- fragment, and one H2 fragment. It is a good example on how to specify the charges of the fragments. The fragments that ADF uses are based on the regions that you define. In this example we will generate four new regions: one for each of the CO ligands. The regions for the CO ligands will get special names to make sure that ADF recognizes them as one fragment repeated four times. The Ni atom will not be in a region. 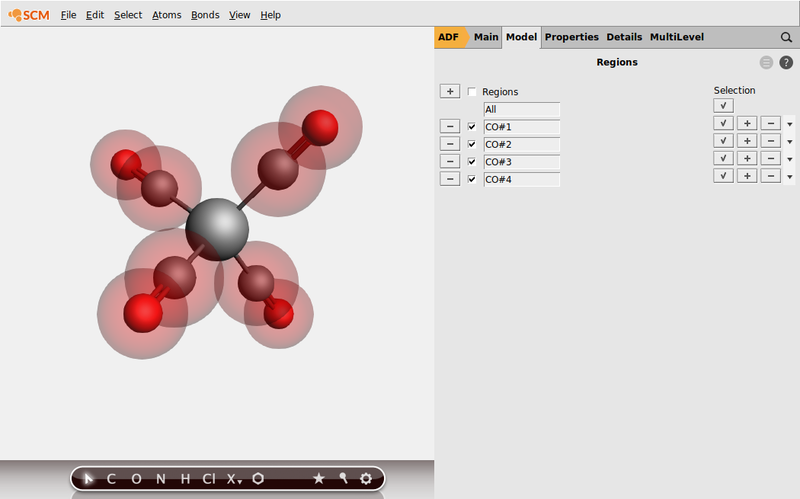 ADFinput will automatically create atomic fragments for all atoms not in a region. Repeated fragments are indicated with the fragment name followed by ‘/n’, with n the number of the copy. All copies must match such that one fragment can be positioned exactly over another fragment by rotation and translation. ADF checks for this, ADFinput does not. In this particular example all four CO fragments are obviously identical by symmetry. In the Fragments panel you will see that one fragment is present, without charge: the repeated CO fragment. ADF will use basic atomic atoms for any atoms not put in another fragment. Thus, the Ni atom will be an atomic fragment. You do not need to run the calculation for the CO fragment first, it will automatically be executed when needed. 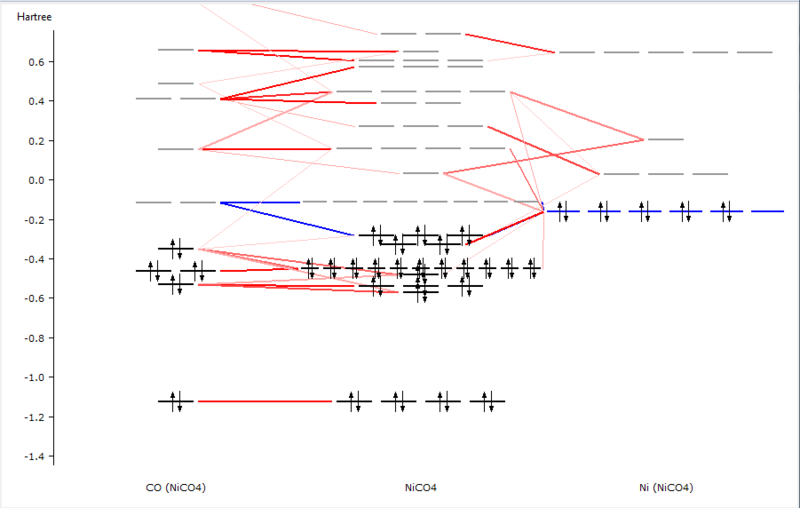 The CO-fragment and Ni(CO)4 calculations all have been performed. 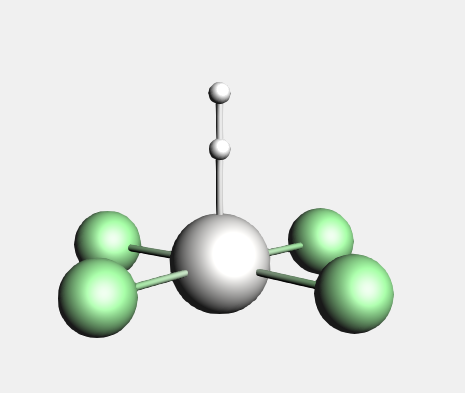 In the center you see the levels of the whole molecule, on the sides you see the CO fragment and the Ni-atom fragment. 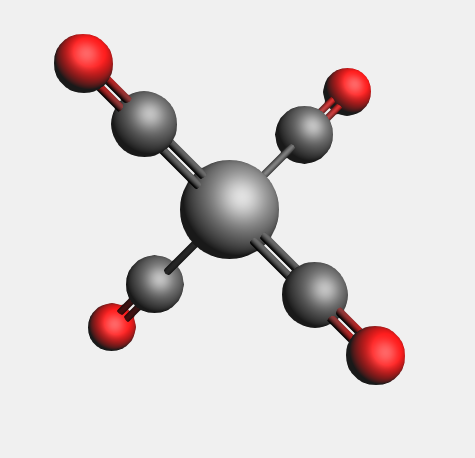 The red interaction lines tell you which molecular orbitals come from which fragment orbitals. The brightness of the line is directly related to the contribution %. The blue interaction lines together show the orbital interaction, and are drawn when a bonding and anti-bonding combination can be made. The strength of this interaction is calculated by taking the geometric average of the 4 contributions. Compared to the normal average, the geometric average places more emphasis on equal contributions. This will give 50-50 contributions the strongest interaction, and 0-100 contributions no interaction at all. The strongest interaction is drawn, and weaker interactions can be drawn by using the menu or the shortcuts. In the output file you can find detailed information about the composition of the molecular levels in terms of the fragment orbitals. Note that pre-optimization using UFF will make the geometry worse, if you wish you can pre-optimize using Mopac. But the ADF geometry optimization will also converge without pre-optimization. 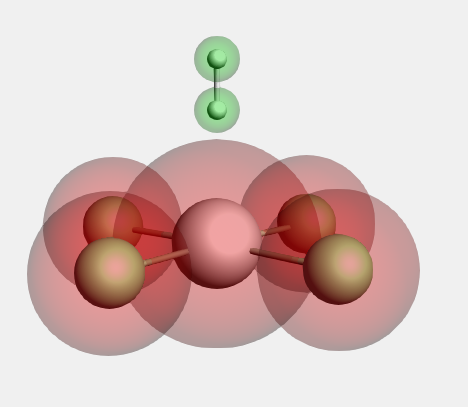 After copy-pasting the H atoms will not be bonded in the picture. That is no problem as ADF does only look at the atom positions. The other options (the overall -2 charge and the Scalar Relativity option) have already been set. If you skipped the geometry optimization step and copy-pasted the coordinates, be sure to set these options now! For more complex calculations, you could make additional changes to your fragment runs. 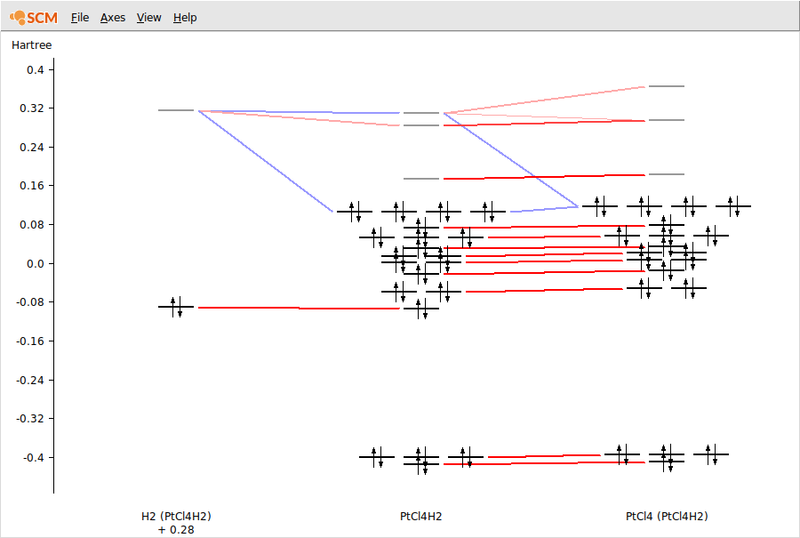 Only interactions between visible levels are shown. So, if you zoom out no interactions will be visible for some of the levels. That is the reason that you will need to use the Show Interactions menu command.